Our most popular plan. Seven step baiting system to prevent and protect your home against most common insects and rodents (such as roaches, ants, spiders, crickets, silverfish, millipedes, centipedes, rats and mice). Our guarantee is after we do the initial treatment, if you see any problems we will come back out and treat your house again for no charge. The greatest thing the customers like about this system is there is no initial spraying in the house and most customers cannot detect any odor or evidence of product applications at all. Recommended if you have a stubborn problem and prefer ongoing service on a regular basis. This service is charged every quarter, with a discount if paid in full for the whole year. This service in most cases is a general spray service and may require indoor spraying. Since sprays break down faster it is necessary to come out every three months. We do require a one year contract with this service. The problem you're having can make the strategies we put in place vary every quarter. We will always let you know what we recommend for your home and what you can expect of us when we come out to your home and do a inspection. Recommended for large commerical accounts such as motels, restaurants, warehouses, etc. 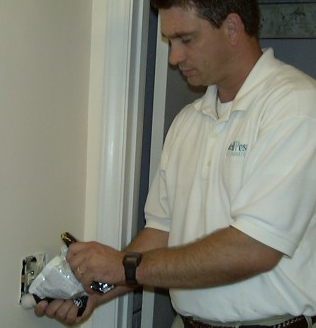 Where pests are always problems or a residence with severe infestations that require extensive management programs. This and the quarterly plans are good for those that may not have a lot of money up-front and are able to make payments better. One year contract is required. Treatment strategies can vary depending on target pest and type of structure. In these plans, we will guarantee against the pests stated in our contract. 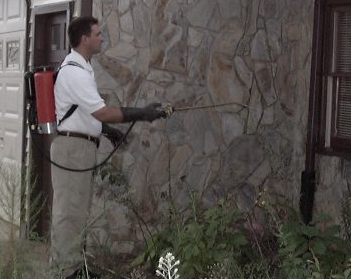 Recommended for those who may be interested in controlling one pest they may seem to have a problem with. Also for those who desire no long term contract and may be on a low budget for a one time service. For this service, we will charge for each target pest as specified on our price sheet and will do one follow up visit if necessary. If there is a need for extra visits after contract expiration date, there will be a service charge for each visit. To set up your inspection within our local service area, click HERE or call us at (704)922-5500!